My name is Najmuddin Faraj Ahmad, but my millitants call me Mullah Krekar. European authorities arrested 16 terror suspects who were allegedly planning to kidnap European diplomats as part of a huge, continent-spanning sweep, according to NBC News. One Italian police official called the sting “the most important police operation in Europe in the last twenty years,” per AFP. The arrests took place in Italy, Britain, and Norway as part of a multination crackdown against an alleged online recruitment ring operated by Sunni Kurdish extremists. The group is accused of working to convince European Muslims to leave their homes for Iraq and Syria, where they would fight with ISIS to establish a caliphate in Iraq’s Kurdish region. 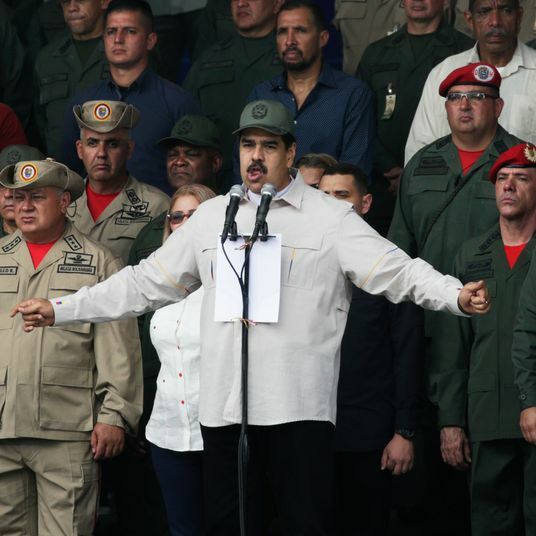 The authorities responsible for the arrests claim that the group was planning to attack Norwegian and British diplomats stationed in the Middle East, in hopes of acquiring hostages that they could then trade for the freedom of their imprisoned leader. 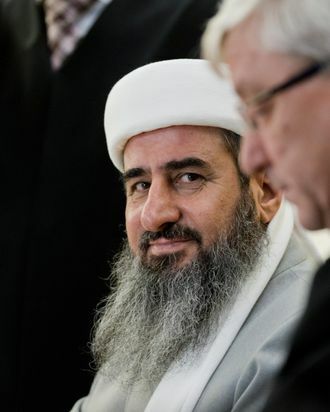 Last month, Norway sentenced Najmuddin Faraj Ahmad, known to his disciples as Mullah Krekar, to 18 months in jail for praising the Charlie Hebdo massacre and urging followers to kill a Kurdish immigrant living in Norway. From exile in Norway, Ahmad formed a propaganda outfit called Rawti Shax, which sought to radicalize Iraqi Kurds living in Europe, Italian officials said in a statement obtained by CBS News. Ahmad took his educational mission online, developing a network of followers across the continent. But as the Islamist leader expanded his digital influence, he exposed himself and his followers to European authorities, who were able to secure arrest warrants on the basis of the aspiring militants’ online communications.